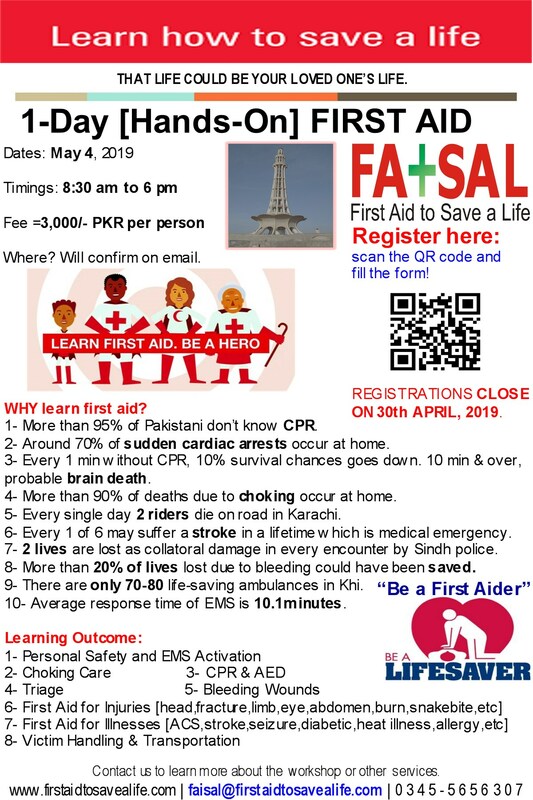 First Aid to Save a Life (FATSAL) is pleased to announce 1-day “CPR, AED & First Aid” hands-on training in Lahore on March 24, 2019. The course fee is =3,000/- PKR per person inclusive of course notes, certification, quick wallet card, refreshment/s & lunch. The last date to register and pay course fee is: March 20, 2019.